Updates to Estela's profile since your last visit are highlighted in yellow. Where and when were you involved with UMUC's programs (scroll down to see all)? Estela Zatania has left an In Memory comment for her Profile. Bill Berglof was a flamenco guitarist. I can't think of him any other way. One of the first people I came into contact with in the early 1960s when I was studying flamenco. That was nearly 60 years ago, and now I see his kind face on a memorial page. Bill was well-loved in the flamenco community by those of us who knew him. An elegant, kind and talented man with a gentle sense of humor. I'm now a well-known flamenco specialist, and I can say Bill was an excellent guitarist indeed. I hadn't seen him in many many years, but miss him now that he's gone. 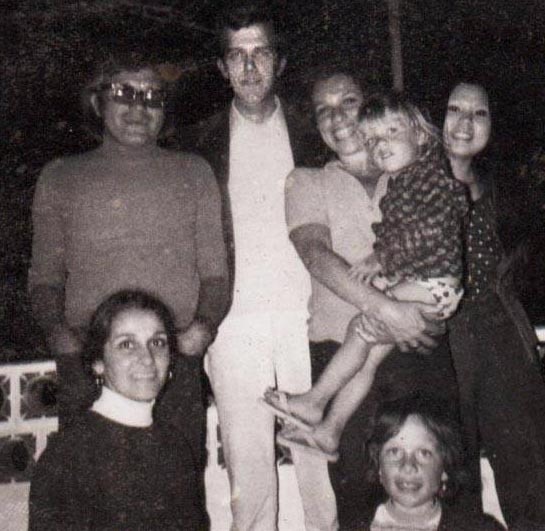 The attached photo was taken in Malaga Spain in 1974, Bill in the middle, me standing next to him holding my son, and Bill's wife Atsuko on the far right. Thank you for reading these words about dear Bill.